In this guide, you’ll find all you need to know about gay Mexico City. Mexico City — abbreviated as CDMX in Spanish (standing for Ciudad de México) — is the capital of Mexico and it’s a gay-friendly city. Built on the Lake of Texcoco by the Aztecs originally, Mexico City is in the Valley of Mexico. Known at the time as Tenochtitlán, the city was almost destroyed by the Spanish. Redesigned and rebuilt to meet Spanish standards later, the city subsequently renamed the Federal District (Distrito Federal) in 1824, when independence from Spain was achieved. This amazing city has more than 2,500 places to visit. 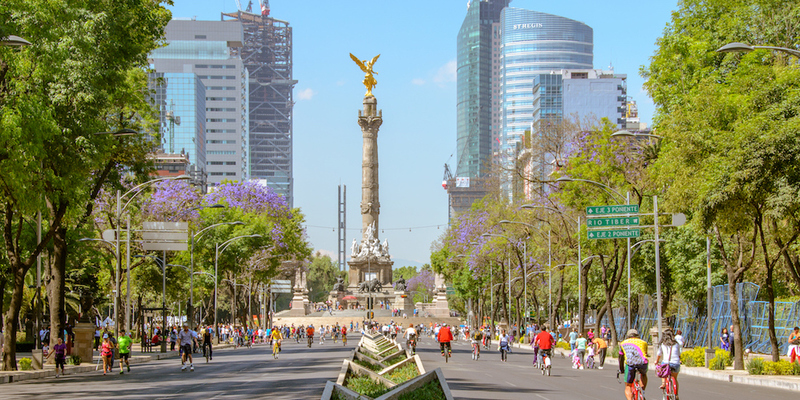 From museums, restaurants, malls, amusement parks, markets, bars and nightclubs, Mexico City has so much to explore. There’s always something to do! It would be perfect if you could use a bicycle for going everywhere in gay Mexico City. Unfortunately, the city is humongous, and it’s honestly a little dangerous because of street conditions. However, there are many ways to get around in gay Mexico City. The subway system is the easiest way to get around the city. You can go everywhere in the city for just $5 MXP (approximately $0.33 USD). 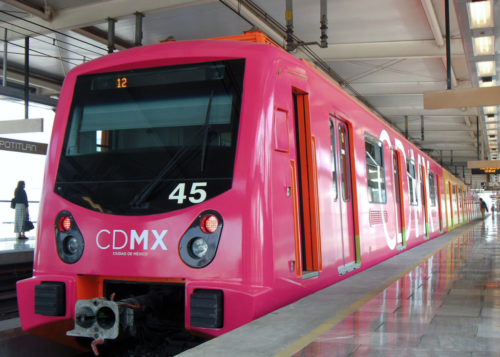 The subway in Mexico City is fast, efficient, cheap, local and real. Unfortunately, during rush hour there’s too many people and it can get smelly — also be on the lookout for pickpockets when it’s crowded. If you don’t want to go underground, the Metrobus is for you. It’s a little bit more expensive — a ticket costs $6 MXP (approximately $0.33 USD). Still, it’s very cheap. The Metrobus and subway lines don’t always go to the same places. You can use the subway and then transfer to different parts of the city on the Metrobus. Or you can make like the locals and use the subway or Metrobus to get close and walk the rest of the way. Like the subway, the Metrobus is fast, efficient, cheap, local and real — and the fact that it’s on street level means it’s great for sightseeing. And like the subway, it can get crowded at rush hour, and there are still pickpockets. And, of course, if there’s an accident on the street, you’ll get stuck in traffic. Who hasn’t used Uber? It is fast, efficient, and has excellent service. If you don’t mind sharing a car with other people, request UberPool. It’s a fun way to meet locals going near your destination. The only disadvantage is like anywhere else — Uber’s surge pricing policy. Cabify is as convenient to use as Uber. Sometimes it’s even cheaper than Uber — plus they have frequent promotions. Like Uber, Cabify is fast, efficient, and provides excellent service. You also know who your drivers and can comment on what they do. It’s not expensive, but it’s obviously not as cheap as the subway or Metrobus. The fare will rise a little during rush hour. Bicycling is an excellent way to explore the city. 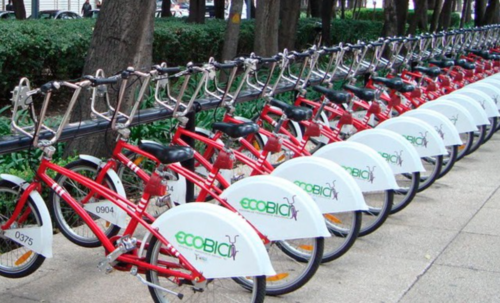 It is a fun way to travel, sightsee, and stay fit when visiting downtown or parks. Disadvantages: There’s not a cycleway in every part of the city. On a sunny day, make sure to use sunblock to avoid sunburn — and, if it’s raining, you’ll want to use other means to get around. 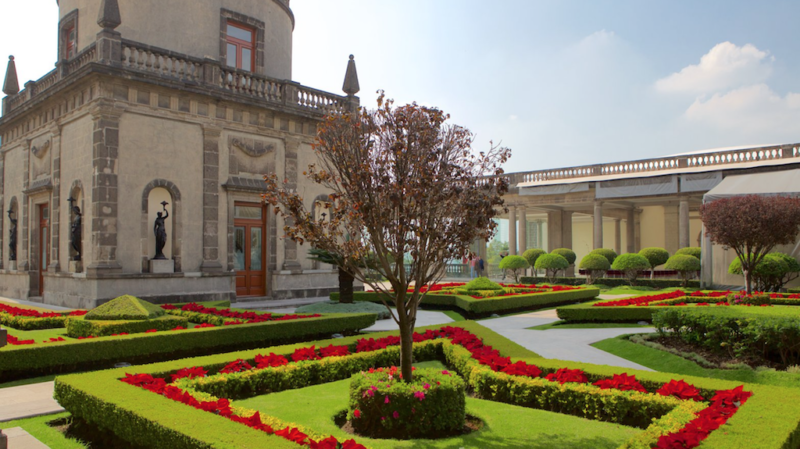 Chapultepec Castle is one of the most iconic places in the whole city. The neo-romantic, neo-classical and neo-gothic architectural styles are a beauty to behold. The word “Chapultepec” comes from the Náhuatl language and means “at the grasshopper’s hill.” And if you’re taking the subway, be sure to look at the icon on the Chapultepec station. Located in the middle of Chapultepec Park, the hill was a sacred place for Aztecs. The buildings above it also served several purposes during its history. It’s been a military academy, an imperial residence, the presidential home, an observatory, and now, the National Museum of History. It is the only castle in North America used as the residence of a sovereign leader: Emperor Maximilian I. The castle was a location for the 1996 movie William Shakespeare’s Romeo + Juliet. There’s a level in the 2006 video game Ghost Recon: Advanced Warfighter based on the castle. The 13th Regiment Armory in Brooklyn, US, used Chapultepec Castle as a model of castle architecture to design its buildings. This monument commemorates the Mexican Revolution. Considered the tallest triumphal arch in the world (sorry Paris), it stands 67 meters tall — almost 220 feet. The building was a major public project. Émile Bénard, a Frenchman, won the design competition to build the monument. His vision was a neoclassical look with unique touches of the French Renaissance. The structure also functions as a mausoleum for heroes of the Mexican Revolution (though Emiliano Zapata, is buried in Cuautla, Morelos). A relatively recent addition is a lighted fountain, adding a magical effect to the monument. Designed by Fernando Romero, this private museum is a non-profit cultural institution. 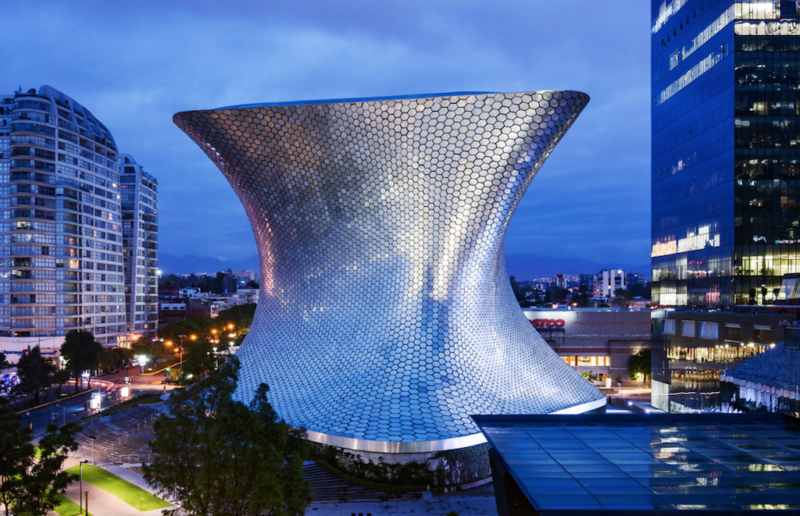 Named for Soumaya Domit, the late wife of museum founder Carlos Slim, it’s the most visited art museum in Mexico. It has over 66,000 works from 30 centuries of art including sculptures from Pre-Hispanic Mesoamerica, 19th and 20th century Mexican art and an extensive repertoire of works by European masters — old and new. The Soumaya has one of the complete collections of its kind. The Rodin Era — which includes surrealist sculptures by Salvador Dalí. 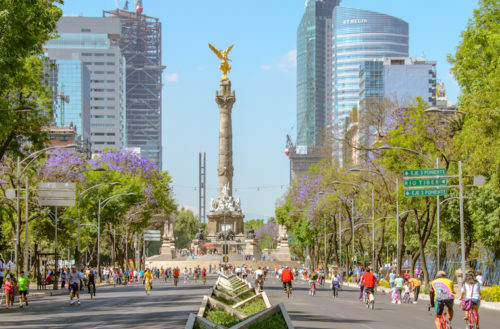 Most commonly known as “El Ángel,” is a victory column on a roundabout on the Paseo de la Reforma, one of Mexico City’s major streets. 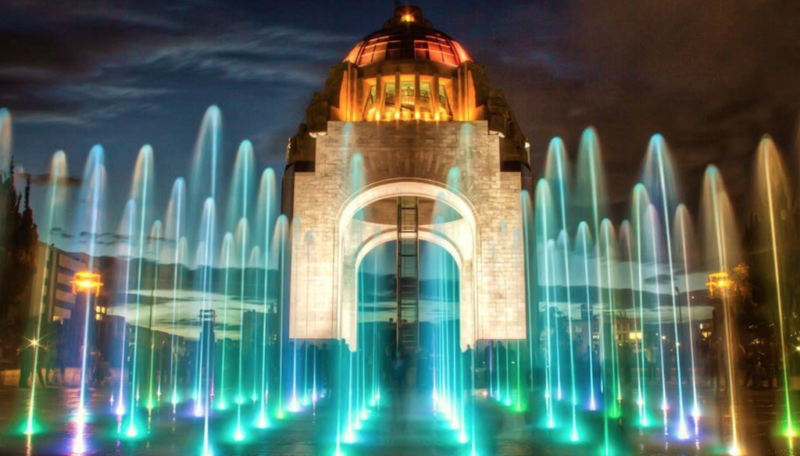 Built in 1910 during the presidency of Porfirio Díaz by Antonio Rivas Mercado, it commemorates the centennial anniversary of Mexico’s War of Independence. This monument also resembles the July Column in Paris and the Berlin Victory Column. 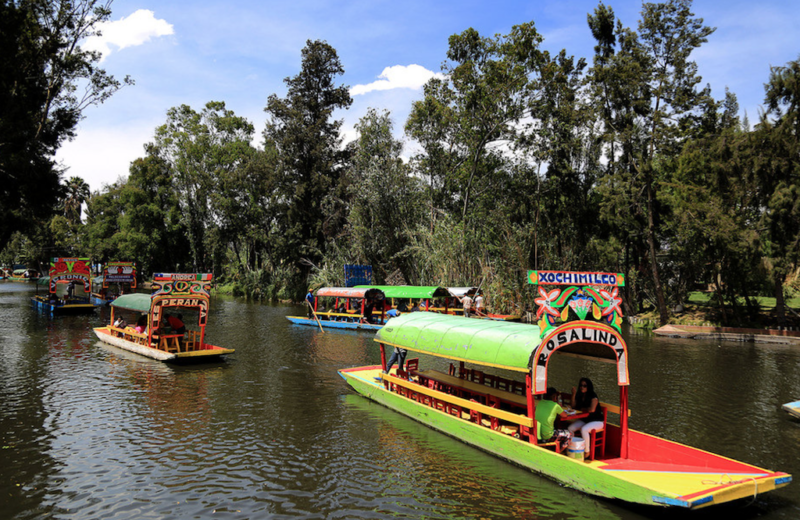 Best known for its canals, Xochimilco is another must-see place in Mexico City. Though the canals are all that’s left from what was a huge lake, the canal system connected most of the settlements in the Valley of Mexico. These canals along with the colorful gondola-like boats called “trajineras,” and artificial islands called “chinampas,” have made Xochimilco a World Heritage Site. You will find axolotls living in these waters. Used as medicine, food, and ceremonial objects during the Aztec empire, the Mexican salamander was an incarnation of the god Xolotl, Quetzalcoatl’s brother. This odd little creature has also been studied due to its abilities to regenerate limbs and other body parts. Trips to Xochimilco are not expensive. You can go there with friends and/or family and pay $750 MXP ($42.50 USD) for 2 hours. But if you go with five friends, you’ll just pay $7 USD each. You can bring your meals, drinks, and even alcohol. We also recommend picking up some alcohol at the shops next to the trajineras — they’re pretty cheap. 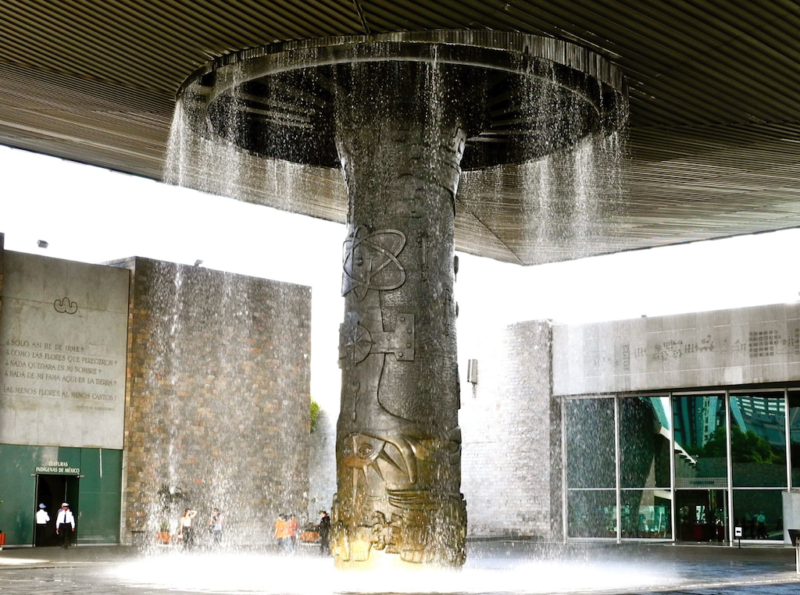 It is the largest and most visited museum in Mexico, hosting over two million people every year. It also contains significant archaeological and anthropological artifacts from Mexico’s pre-Columbian heritage, such as the Stone of the Sun (Aztec calendar stone), giant Olmec stone heads, treasures recovered from the Mayan civilization, and the Aztec Xochipilli statue. The permanent exhibitions on the ground floor cover all pre-Columbian cultures. The current territory of Mexico is represented, as well as former Mexican territory including the southwestern United States. They are classified as North, West, Mayan, Gulf of Mexico, Oaxaca, Mexico, Toltec, and Teotihuacan. The permanent exhibits on the first floor show the culture of the native population since the Spanish colonization. It also hosts visiting exhibits, generally focusing on other great historical cultures like Persia, Greece, China, Egypt, Russia and Spain. The “Zócalo” is the main square in Mexico City. 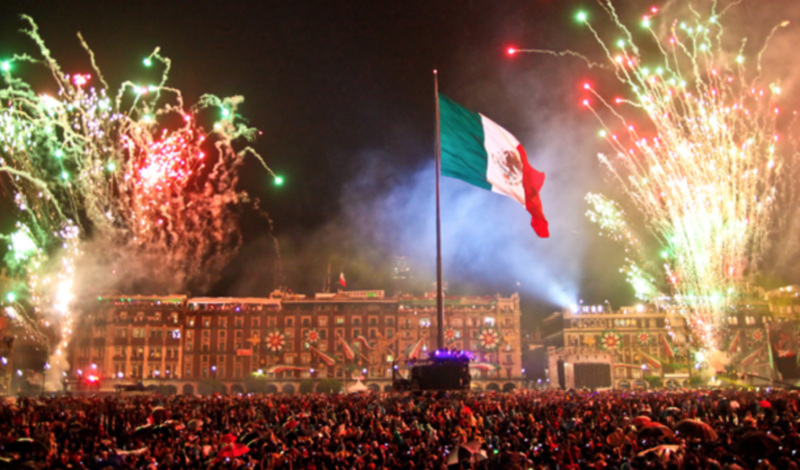 It has been a gathering place for Mexicans since Aztec times, having been the site of Mexican ceremonies, the swearing-in of viceroys, royal proclamations, military parades, Independence ceremonies and recent religious events. Recently, they’ve been presenting a Day of the Dead parade, full of color, spirit and great altars. The site is just one block of the Templo Mayor. According to the Aztec legend, the Templo Mayor was the center of the universe. The Palace of Fine Arts is a prominent cultural center full of neoclassical, art nouveau and art deco works. Art nouveau dominates the exterior, and art deco the interior. It has hosted some of the most notable events in music, dance, theatre, opera and literature alongside important art exhibitions. 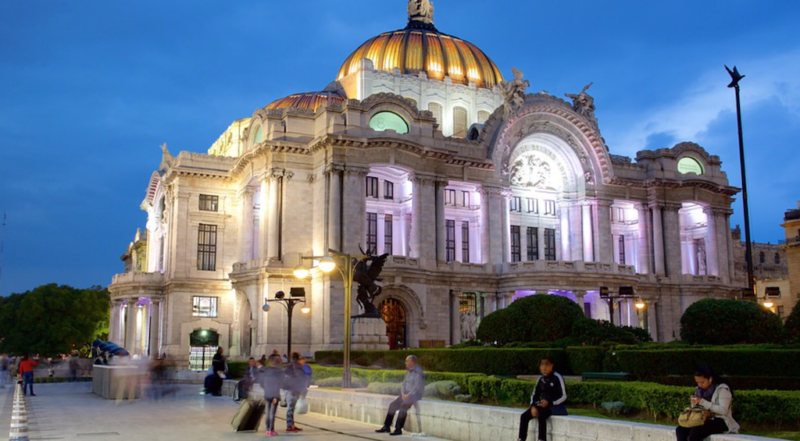 Called the “Cathedral of Art in Mexico,” Palacio de Bellas Artes has beautiful murals created by famous artists like Diego Rivera and Siqueiros. The heart of gay Mexico City is called ‘Zona Rosa’, and is the Mexican Castro. Known for its shopping, nightlife, gay community, and a recently established Korean Community, Zona Rosa is a fun area to experience local life. It used to be the rich neighborhood, but it’s now the nightlife capital of gay Mexico City. Filled with bars and nightclubs in the streets, Zona Rosa is busy on the weekends. It’s the men’s clubs with go-go dancers and gay bars that stand out the most. There are also art galleries for you to explore. You should equally check out our favorite local café and bookstore, El Péndulo on Hamburgo street, for an authentic local experience. 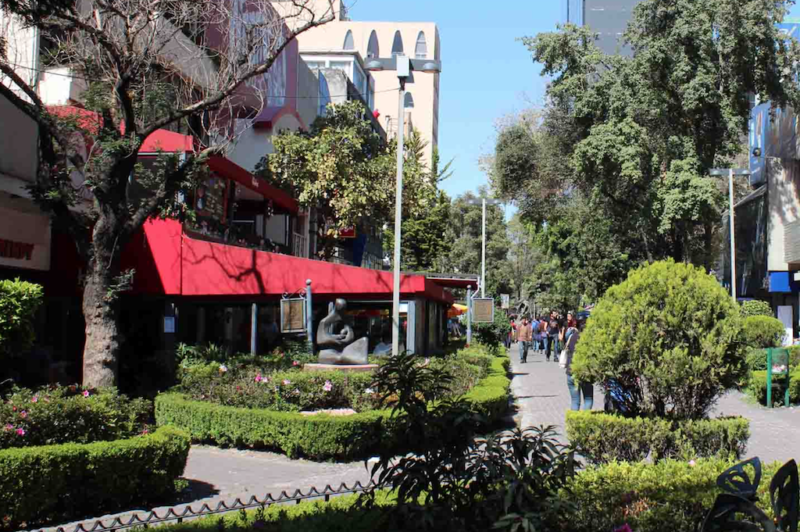 Zona Rosa has become a major tourist attraction and home of gay Mexico City’s prominent community. It also sponsors an annual pride parade at Paseo de la Reforma. 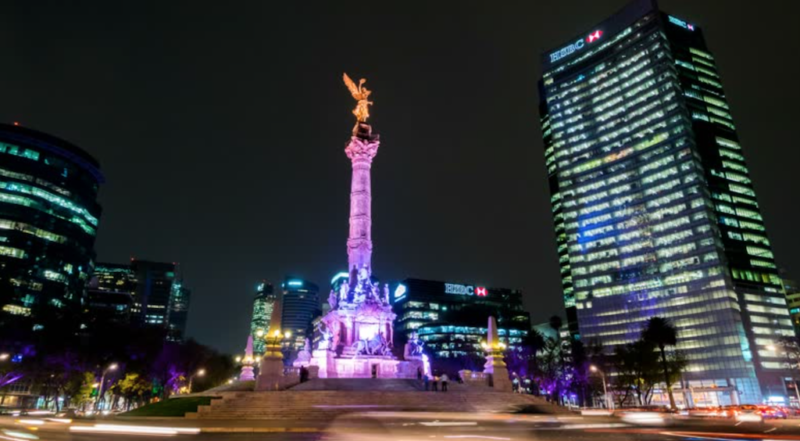 Check out the second part of this gay Mexico City guide here, where we list the best places to enjoy the exciting nightlife.